Why do some players place so much pressure on themselves to win? 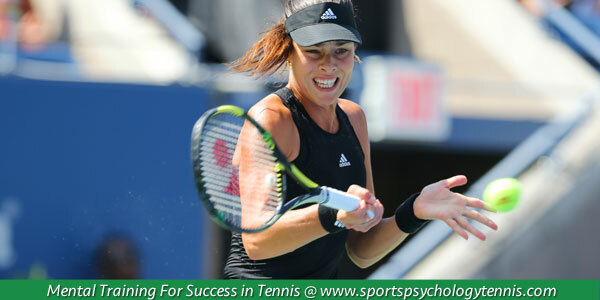 Has placing pressure on yourself ever helped you win a match? 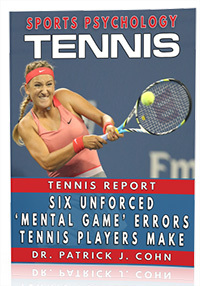 Most tennis players falter under the weight of self-imposed pressure. Pressure is self-sabotaging… It would be like eating double cheeseburgers five minutes before a match… Excessive pressure is unhealthy, unproductive and causes you to underperform. Imagine if you played with a “nothing-to-lose” mentality? If the excessive pressure of needing to win actually causes you to play poorly, then why not try the opposite? A “nothing-to-lose” mentality is one where you let go the results and just go for points. Going for it, without fearing failure, is the only mentality that gives you a chance to play to your potential. China’s Zhang Shuai, No. 133, understands all about the negative aspects of pressure. Zhang placed so much pressure on herself to win that she considered retiring from tennis at the end of last season after posting a career 0-14 mark in Grand Slam matches during her nine-year career. Entering the 2016 Australian Open, Zhang wasn’t sure how much longer she would play, so she adopted a “nothing-to-lose” mentality. Feeling less self-imposed pressure, Zhang, suddenly, played her best tennis beating No. 2 Simona Halep 6-4, 6-3, veteran Alizé Cornet 6-3, 6-3, No. 46 Varvara Lepchenko 6-1, 6-3 and 15-seed Madison Keys 3-6, 6-3, 6-3 to reach the quaterfinals of the tournament. Think for a second… Zhang was 0-14 when she felt she “needed to win” Grand Slam matches but when she took some pressure off herself she won four consecutive Grand Slam matches. The dire need to win actually detracts from your confidence because you are more focused on the fear of making mistakes. It’s a mindset that produces a lot of tension and anxiety. Zhang’s confidence has skyrocketed as she’s focused on playing in the present and has re-discovered the joy of playing tennis. 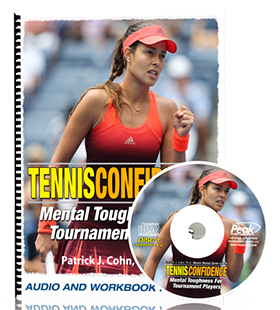 Excessive pressure has the same effect on you mentally… The “I must win” mentality causes you to play tense and nervous. Recognize the symptoms you experience when under excessive pressure: nervous, tense muscle, inability to focus, fearful of making mistakes, etc. When you feel that sense of pressure build up, ask yourself, “Why am I doing this to myself?” Write the letters NTL on your racquet which stand for nothing to lose” and remind yourself that your best chance to play well is to let go of those excessive expectations you place on your game. Just go for it… what do you have to lose?